Give your wet bar the shine it needs with an FYP Wine Set. 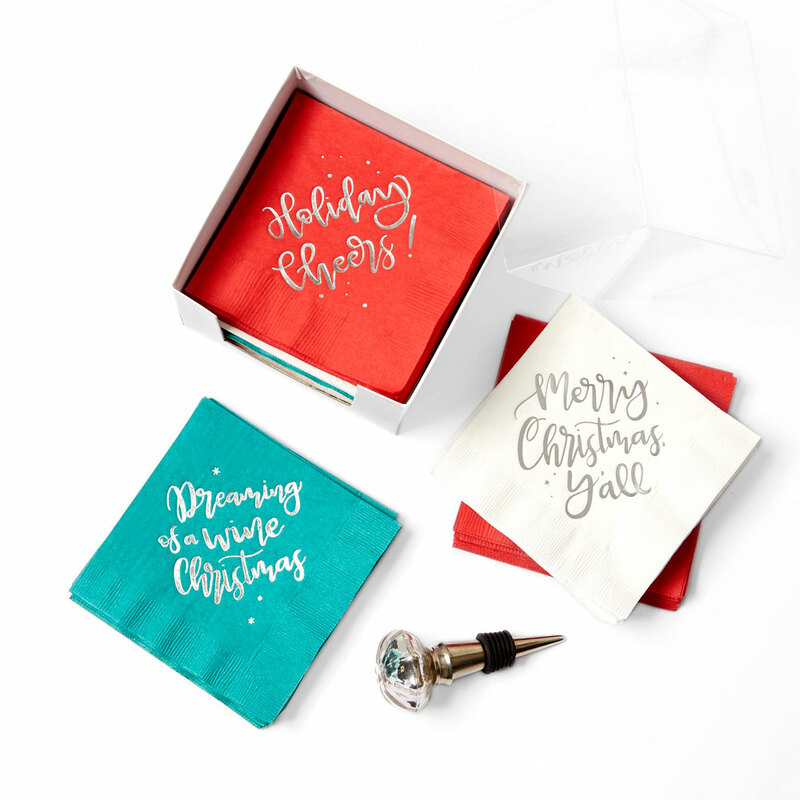 In three gorgeous styles from inspirational to holiday, each set comes with a cute wine stopper and designer-made cocktail napkins. FYP Wine Sets also make fantastic gifts! 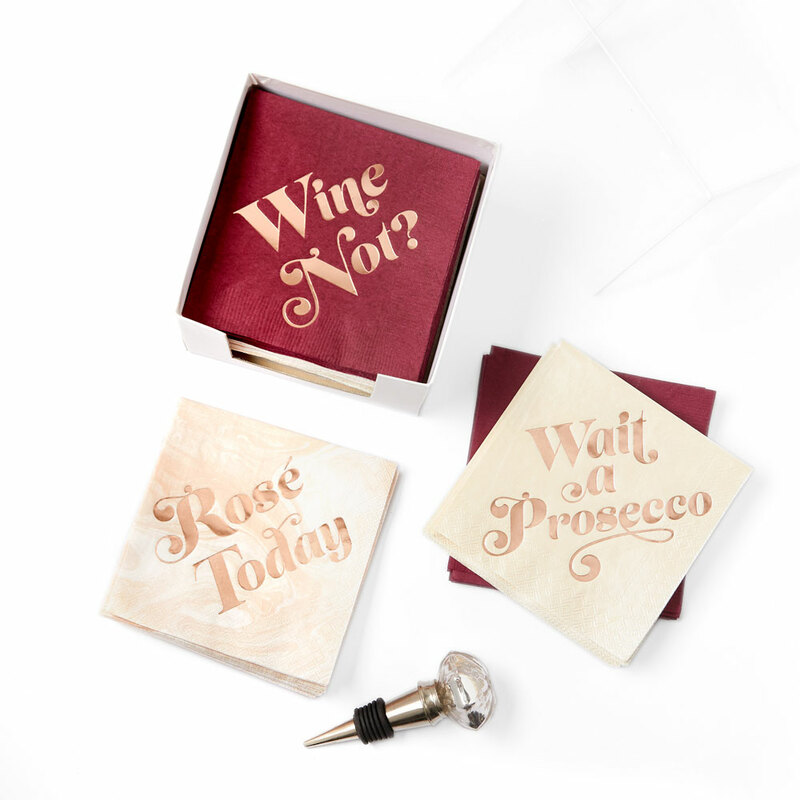 From hostess and housewarming gifts to bridesmaid gifts and birthday presents, these bespoke wine sets are just what you're looking for Shop below!